Please read about the new Phantom A+ specifications and price here. You might also be interested in the new Phantom A2 as well, click here to check it out. Tecno phones are so hot right now. 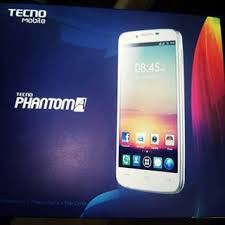 lovely specs,i used to be a hardline critic of tecno brand but,tecno is gradually proving me wrong. kudos and keep it coming.its high time u give the other brands a run for their money especially in the area of quality and lower price.CONGRATS for this giant leap. don't stop till u hit the sky. This is a joke, right? NGN2,000 for this phone? It is currently being sold for just under N35,000 by Jumia. Tot d OS is jelly bean??? You are right, error corrected. Thanks for asking. To hell with BB that's the second name. How clear is the picture quality?